Don’t fall foul of those forgeries out there. Thieves and criminals are getting smarter, and with print quality constantly improving, it can be difficult these days to identify forgeries. Use the UV blacklight bank note checker to verify the colour of your money. 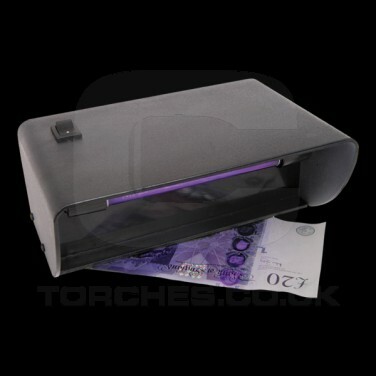 An electronic UV blacklight bank note checker helps to identify forged bank notes by highlighting the watermark within currency aiding counterfeit currency spotting.